A look at some unusual roses to grow in your garden. Make people take a second look! If life (and gardening) teaches you anything, it's that "There are always exceptions to the rule." Take roses, for instance. If you picked the 'Roses' category in a game of Jeopardy, your question would probably be, "What is red, and budded, and smells so sweet?" And, of course, you'd be right if you answered "roses." But, there are always exceptions….and this description shows but one side of the rose family. Roses take on many forms, bloom shapes, and colors. Here are some of my favorite unusual roses! The single pink and white flowers of the "Ballerina" could almost be mistaken for apple blossoms. The plant's arching canes and non-stop flowers make 'Ballerina' an excellent candidate for a dooryard or cottage garden, where their long trusses of blooms can be appreciated. 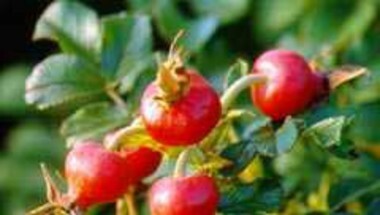 In the fall, 'Ballerina' also develops tiny, orange-red hips that provide much-needed color for the winter garden. 'Ballerina' grows 5 to 6 feet tall and is hardy in zones 6 through 9. If you're looking for a shrub rose but can't decide on a color, then'Mutabilis' may be your rose. From a distance, this rose actually looks like several roses intertwined because of the varied colors of the blooms. The tight buds are bright orange and almost look like candle flames. Later, the buds open to a soft yellow on the inside while the outside of the petal stays fiery orange. As they age, the blooms fade to pink, then coppery crimson. The overall effect of the bush in bloom is quite stunning. 'Mutabilis' grows 5 to 7 feet tall and is hardy from zones 6 through 9. Not all old roses require a lot of space in your garden. In fact, you don't even need a full-fledged rose garden to grow 'The Fairy.' 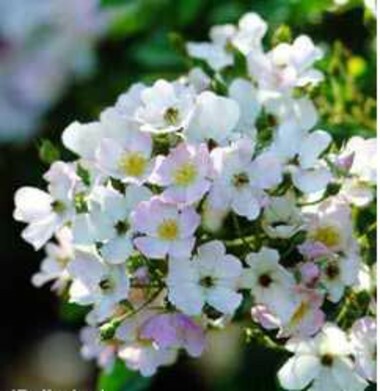 This continuous bloomer grows as well in containers or tubs as it does in the garden. 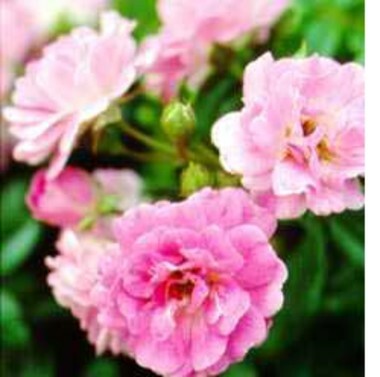 The flowers, which are produced in sprays, look like miniature, pale, pink carnations. 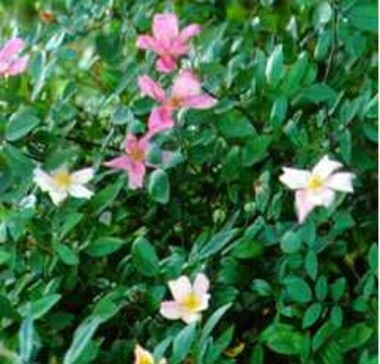 Fragrance is minimal, but the flowers air dry easily. In the garden, 'The Fairy' will grow 4 feet tall; in containers, it will probably stay a little shorter. It's hardy from zones 4 through 9. Year after year, 'Hansa' has flourished in our Iowa test gardens even though it's been subjected to our intensely cold winters and hot, dry summers. This vigorous plant grows over 6 to 8 feet tall and produces a non-stop supply of double, reddish-purple, clove-scented flowers. Like other Rugosa roses, 'Hansa' has crinkled, rich green leaves that look as nice in bouquets as the flowers. In the fall it also has bright red hips. It's hardy from zones 4 through 9. This rose dashes all convention when it comes to color—all its floral parts are green. As a cut flower, the 'Green Rose' adds architectural and textural interest to a bouquet. 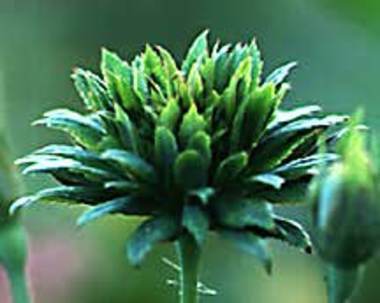 In the garden, the 'Green Rose' is a 3- to 4-foot, free-flowing shrub. Interplanted amid other old roses, the 'Green Rose' stands apart in its singularity. It's odd, colorless blooms, are none the less beautiful and carry a peppery scent. It's hardy from zones 6 through 9.